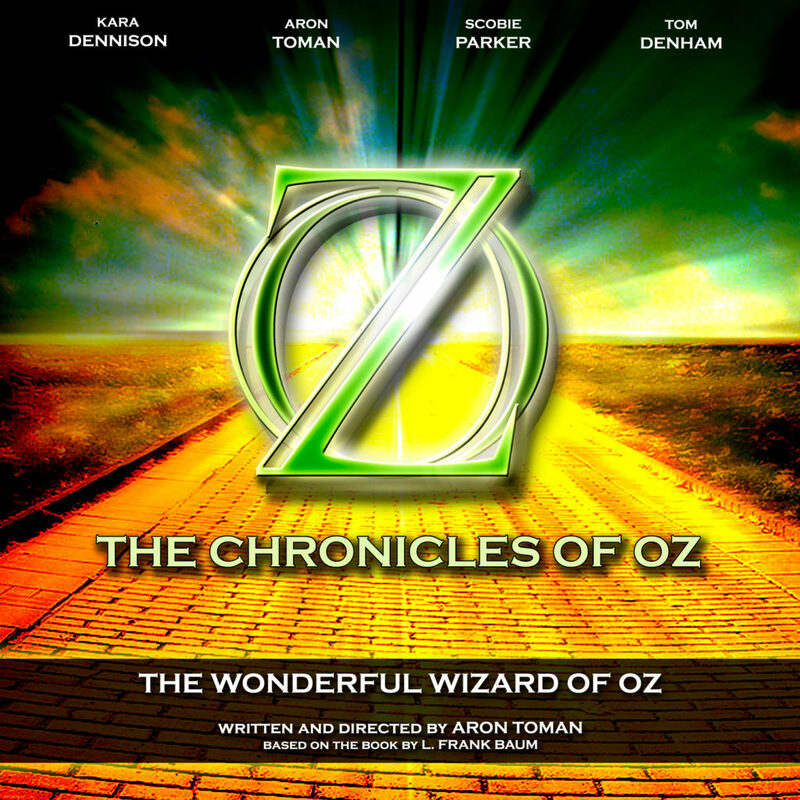 I finally got around to listening to The Chronicles of Oz, audio drama adaptations of the original Oz books. 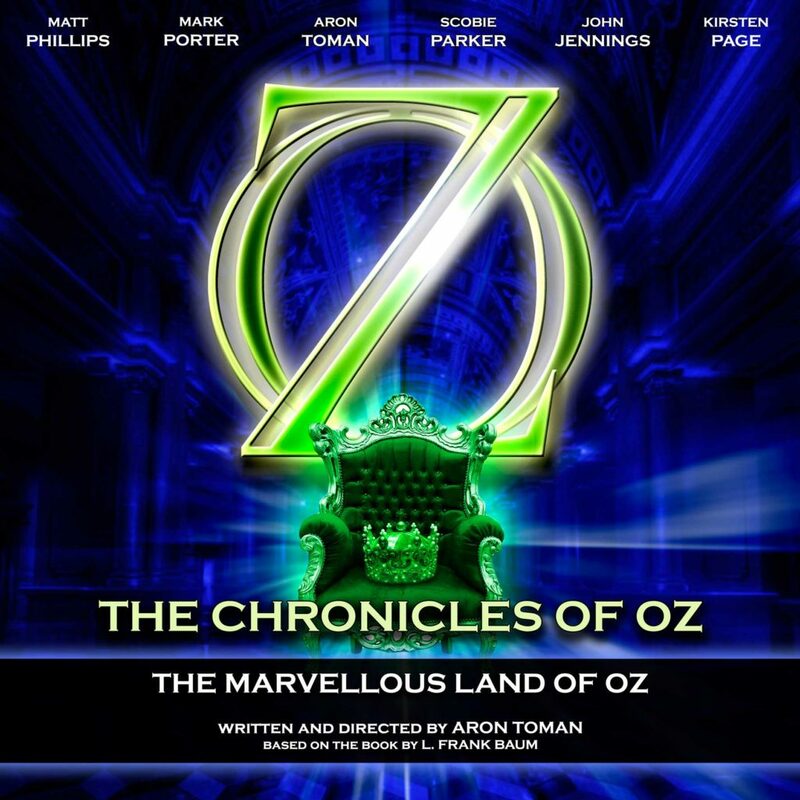 They recently finished with the final installment of The Marvelous Land of Oz, and I think they’re planning on adapting all of the L. Frank Baum Oz books eventually. While they retain a fair amount of the original stories and characterization, there are also quite a few changes to modernize them somewhat. In The Wonderful Wizard of Oz, Dorothy is somewhat older and much more sarcastic. The basic structure of the story is the same, but it’s complicated by other characters’ reactions and points of view. Dorothy’s house landing on the Wicked Witch of the East leads to civil war in Munchkinland, and we frequently cut to the other witches and the officials in the Emerald City, all of whom have their own viewpoints and goals. Some side characters are tied in a bit more with the main story, like how the stork who rescues the Scarecrow from the river becomes one of a group of Emerald City border guards, and Jellia Jamb is Guardian of the People instead of just a member of the palace staff. There were a few oddities that tend to bother me about adaptations, like the Tin Woodman actually being mean, although he does become less so over the course of the story. Some character names are technically non-canonical but well-known enough that they’re commonly used in fan writings: Locasta from the stage play for the Good Witch of the North, and Faramant and Ramina from the Russian Magic Land books for the Guardian of the Gates and Queen of the Field Mice respectively. One the Witch of the West’s guards is named Ugu, so I guess we’ll have to see how that comes into play if they ever get around to doing Lost Princess. And Quox, the dragon from Tik-Tok, also appears, summoned by the Witch as a backup plan. Dorothy drives him off with a command to the Winged Monkeys. The adaptation fixes something I never thought was fair in the book, that Dorothy’s wish to go home counted as one of her three tasks from the Monkeys even though they couldn’t grant it. Here, it doesn’t. I do have to say that the Munchkins immediately going to war after the Witch of the East’s death is kind of contrary to the general spirit of the original books, in which most of the Ozites were peaceful. That said, it’s still not treated in the dark and gritty fashion of other takes on Oz, just a likely reaction to a sudden power vacuum. And there’s a lot of humor as well, both commenting on some of the stranger aspects of the book and referencing other parts of the Oz universe. Marvelous Land takes even more liberties with the plot, while retaining the more significant aspects. Instead of an uprising by women, Jinjur takes control of a Munchkin army after her father is executed. In her first appearance, she uses the slogan “Make Oz marvelous,” referencing both the book’s original title and present-day politics. Tip is an apprentice to Mombi instead of just her ward, and the Wogglebug is already a known figure in the media, trying to sound intelligent without really saying anything. We get to see more of the Scarecrow’s struggles to rule the Emerald City, and of the interaction between Jinjur and Mombi. The Scarecrow contacts the Tin Woodman by radio instead of actually fleeing to his castle, which means Nick is stuck with hiding the mice inside of his body. A major departure from the original is that the Forbidden Fountain (which doesn’t appear in the source book but does in several others) has for some reason become a doomsday device. And while you know what happened to Ozma if you’ve read the book, the adaptation does manage to add an additional interesting twist to it. I was at first annoyed by how Jellia’s name was pronounced “jell-EYE-a,” which I’ve come across before and thought ruined the joke. It’s acknowledged here, however, as the Scarecrow insists on saying “JELL-ee-a.” I’m definitely interested to see where they go with this in the future, especially as many of the later books have somewhat tighter plots and characterizations, and hence are perhaps less open to interpretation without making fundamental changes. This entry was posted in Characters, Humor, L. Frank Baum, Oz, Oz Authors and tagged audio play, crossover productions, dorothy gale, dragons, emerald city, forbidden fountain, good witch of the north, guardian of the gates, jellia jamb, jinjur, mombi, ozma, professor wogglebug, queen of the field-mice, quox, scarecrow, the chronicles of oz, the lost princess of oz, the marvelous land of oz, the wonderful wizard of oz, tik-tok of oz, tin woodman, tippetarius, wicked witch of the east, wicked witch of the west, winged monkeys, witches. Bookmark the permalink. I came to a lot of the same conclusions and noticed a lot of the same things. However, I think a lot of these changes have to do with appealing to a modern audience. Many YA novels and action movies (especially Mavel, since it’s so popular) posess entire casts of sarcastic and focus on bringing down dystopian governments. And as a side note: honestly, I liked the Tin Woodman being sarcastic and (he wasn’t that) mean. But, anyone who knows me, knows I’m biased. The whole time I was like, “Say that to me. Do what you will.” His voice was…sploosh. I guess it isn’t so much that Nick is particularly mean as that I’m used to him being tender, so it’s a considerable difference. As for appealing to a modern audience, I can kind of see why they changed the Army of Revolt plot, since even though the overall message was pretty progressive, it still involved a lot of stereotypes along the way. Still, making it just a more ordinary civil war was rather less interesting.